A quick place marker for next week's post. Possibly the most beautifully made mechanical ladies watch in production...the Lange Arkade. This specimen is in yellow gold case, champagne dial. Personal timepiece of my wife's. Photographed simply in a restaurant, while we were having lunch, perched on a plate. 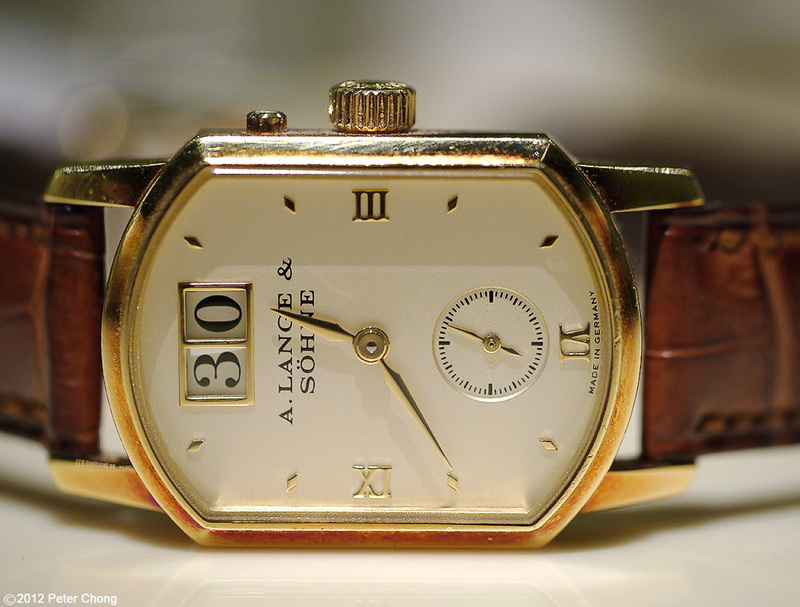 One of the original watches introduced by Lange during the launch in 1994, this timepiece is specifically designed to show the seeming impossibility of the very large date in a small case. We are used to the way to do this double outsized date these days, of course, but it was quite a revelation in 1994.